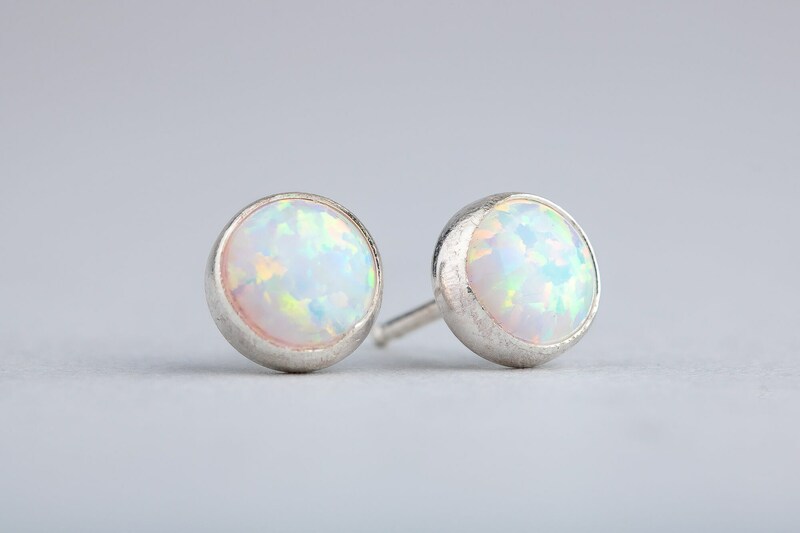 I created these beautiful White Opal earrings from solid Sterling Silver. 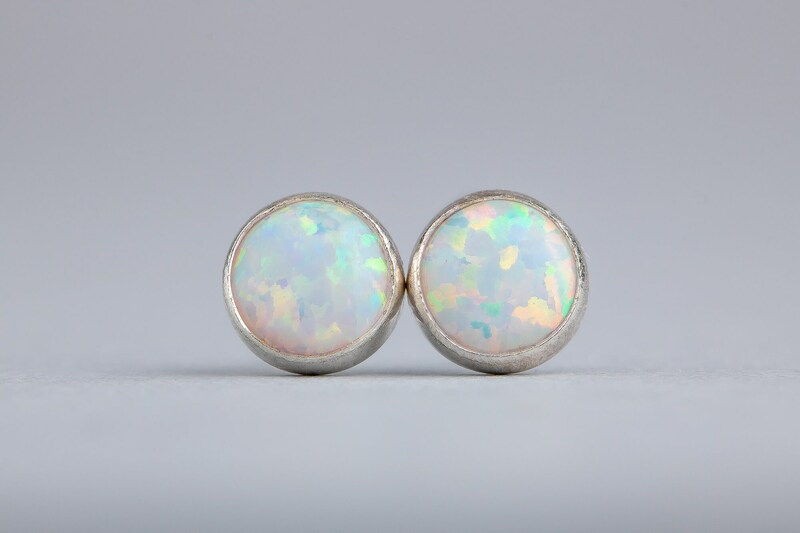 The earrings feature beautiful simulated White Opal gemstones that sparkles beautiful colors like pink, red, orange, yellow, blue, aqua, purple, and more. 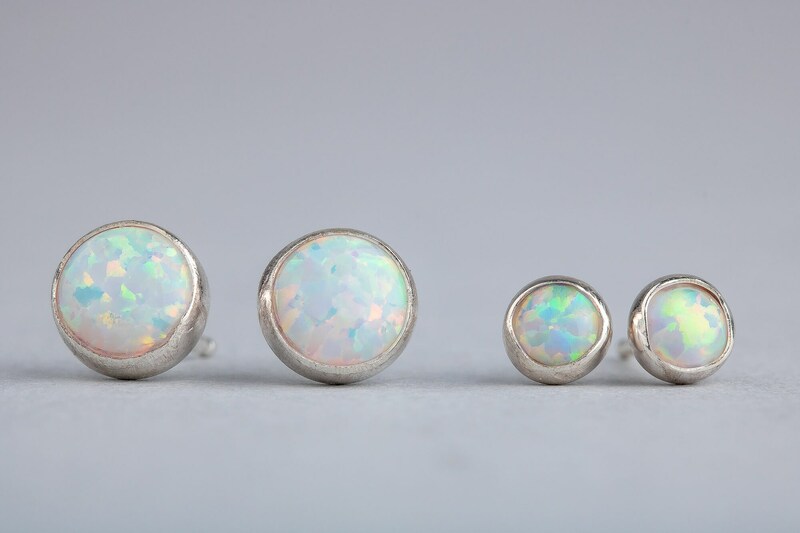 Opal is the birthstone for October. 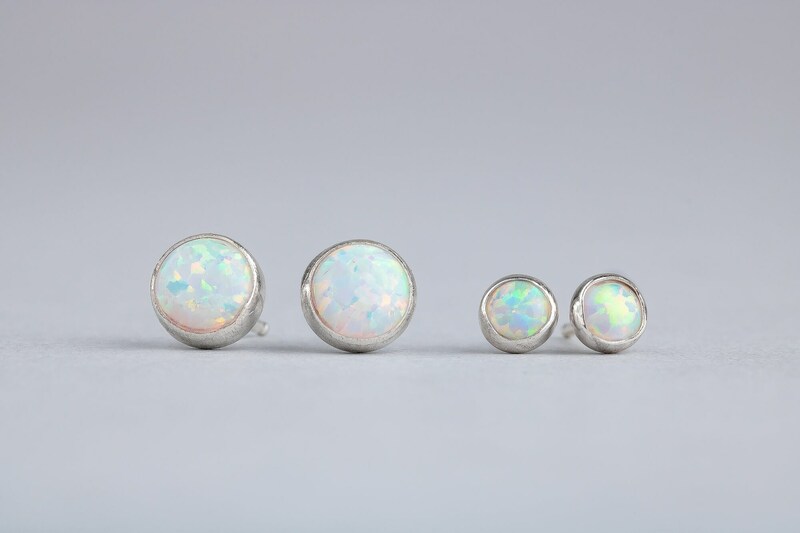 You can choose either 4mm or 6mm size earrings. - Choose your size: 6mm or 4mm. 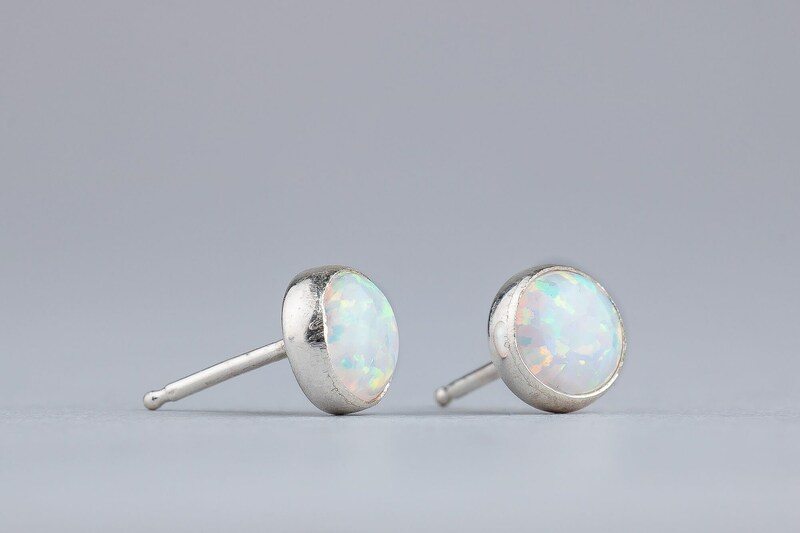 - Earrings are made entirely from solid Sterling Silver and Simulated White Opal. 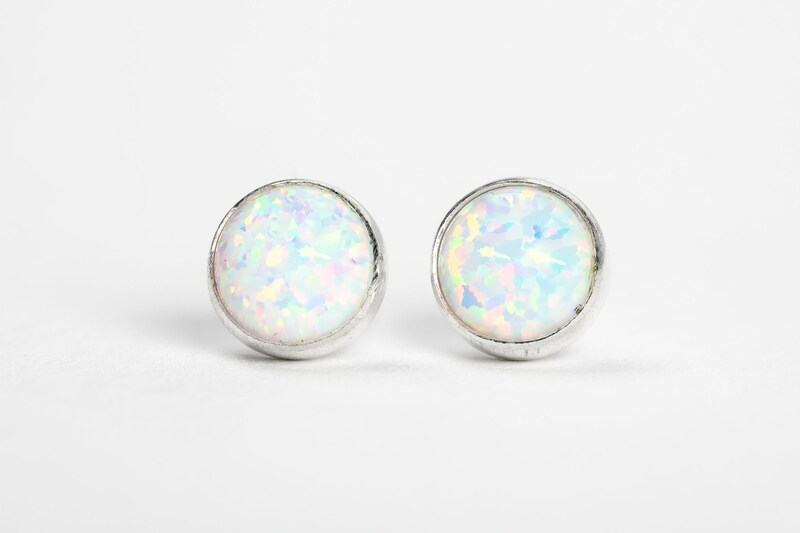 Earring Size: Choose your earring size from the drop-down menu. You can choose from 4mm or 6mm. 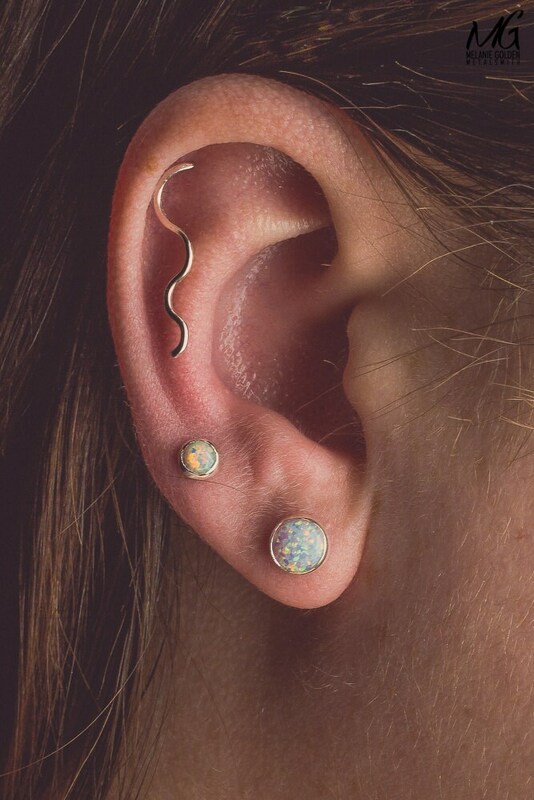 Beautiful earrings, I love them! 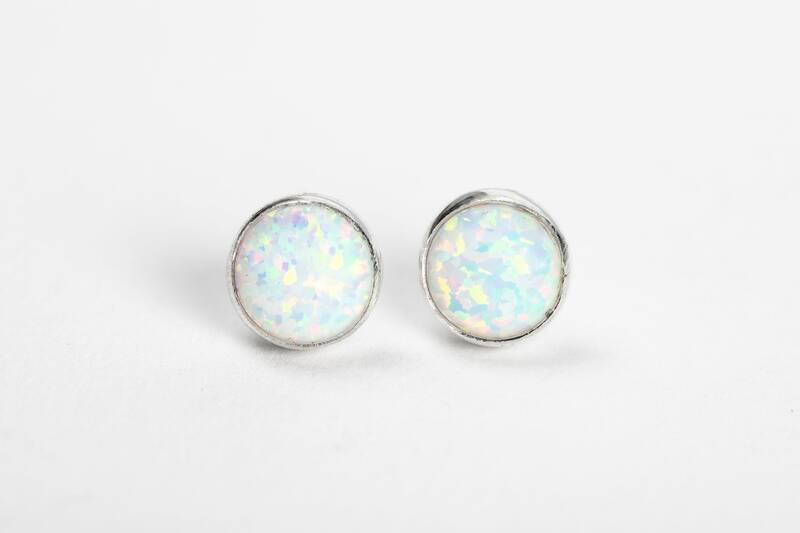 Loved the earrings so much, got two pairs! 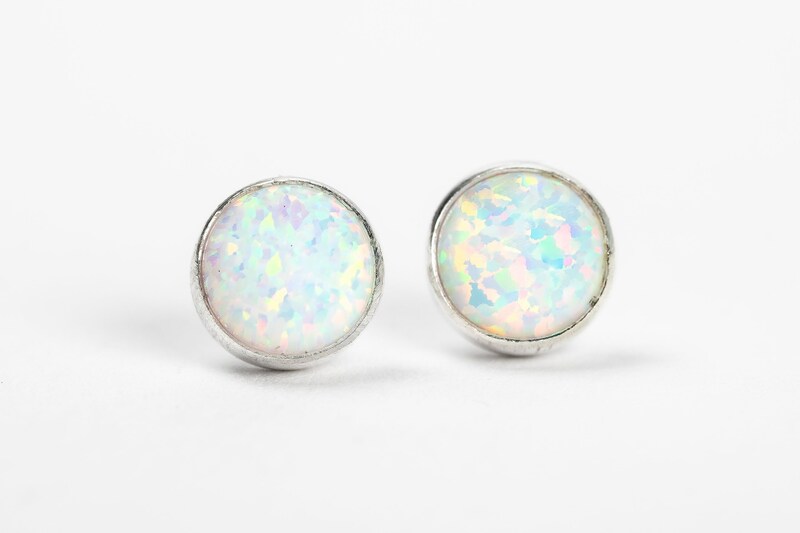 I bought the 6mm studs and love them! They are so pretty!